A beautiful chapel in Rancho Palos Verdes where wedding ceremonies are held. Surrounded by ocean views and redwood trees. Wayfarers Chapel was completed in 1951. Designer and architect Lloyd Wright applied his organic style to design Wayfarers Chapel. He did this by blending nature and architectural genius creating organic architecture. 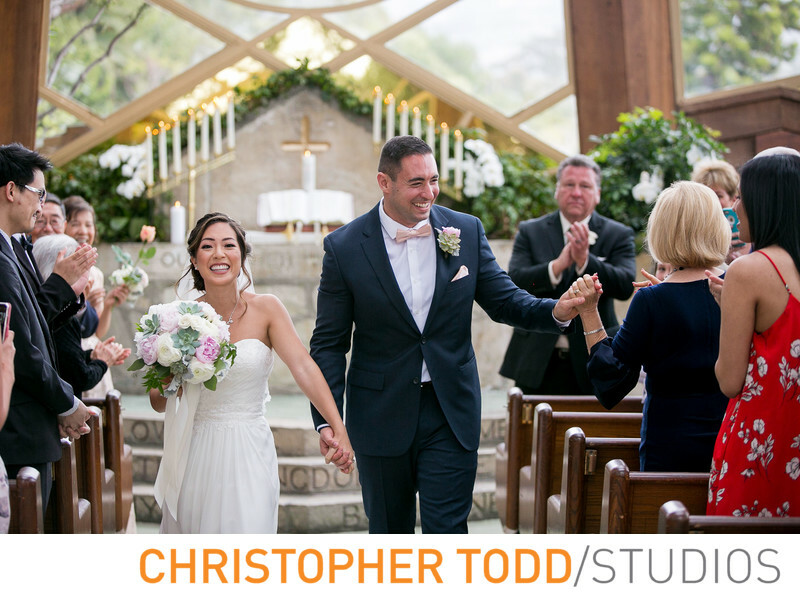 The glass chapel sits atop the bluffs of Palos Verdes surrounded by redwood trees. No need to search for an officiant Ministers of the Chapel officiate all weddings and sign all documents. Brides love that they don't have to worry about decorations for the chapel or music. Both are provided. Modern architecture bringing the outdoors inside. This glass chapel lets you enjoy the ocean breeze and views. Breathtaking grounds surrounding the chapel. The rose garden and redwood trees are a perfect backdrop for bridal portraits. The views of the ocean make this chapel unique. One of the most enchanting ceremony sites in Los Angeles County. 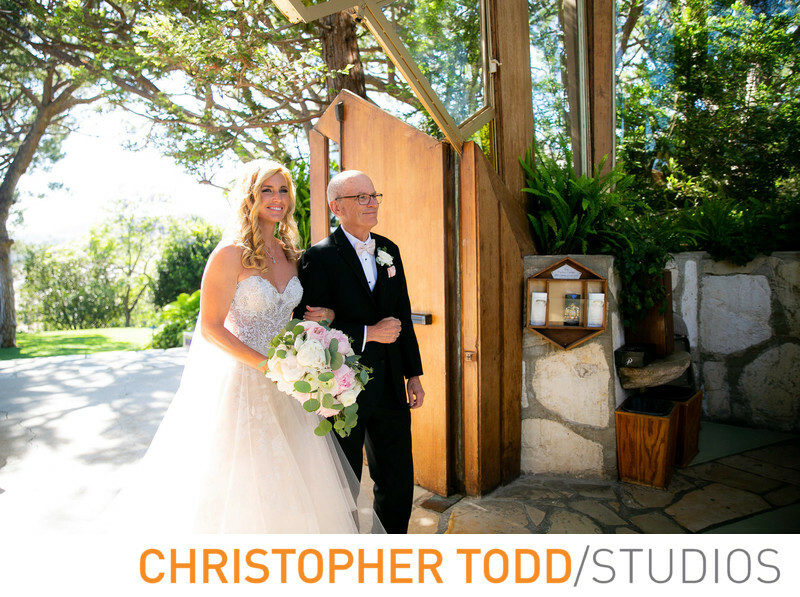 As a Los Angeles and Orange County wedding photographer, I have had the privilege of capturing many beautiful ceremonies here. I know the rules and guidelines the chapel expects of professional photographers and always abide by them. We are allotted two hours to photograph weddings here. One hour before the ceremony begins, the ceremony, and the rest of the time to make up the second hour. We know where the best portraits need to be taken. Therefore, we are able to deliver your precious memories. 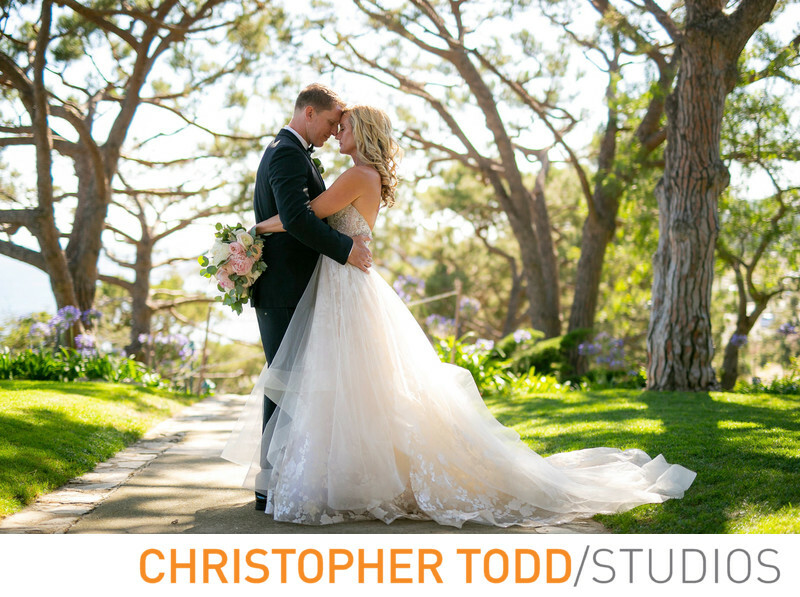 Christopher Todd Studios is an award winning photographer located in Orange County. With over 18 years experience of photographing weddings and special events. Get in touch today with any questions you have about planning your wedding. 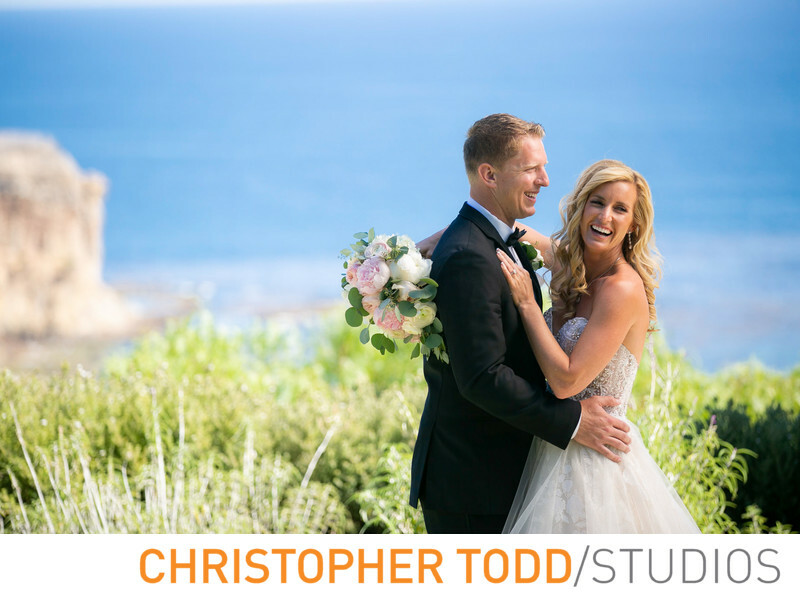 Couples love the ocean view as a backdrop for their wedding portraits.